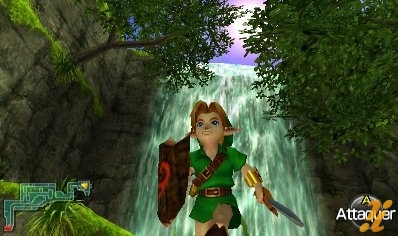 According to Metro.co.uk, the new Wii Fitness trend Zumba Fitness has outsold Ocarina of Time 3D in the UK. As shown by high sales of games such as Wii Fit and Wii Sports, Nintendo has a highly “casual gaming” based fan group. But what does this mean for Zelda fans? Although Nintendo may try to make Ocarina of Time 3D easier for casual gamers to pick up by adding extra hints and tips, it is still a complicated game; not one you would imagine seeing your 70 year old grandfather playing. Games such as Wii Sports, Mario Kart, or even New Super Mario Bros are easy for gamers of any skill level to pick up and play, with a very small learning curve. On the other hand, games like those of the Zelda franchise are slightly more complicated to learn, and possibly can scare off an inexperienced gamer. We will have to wait and see whether this will affect Nintendo’s releases of Zelda games in the future; however, Nintendo has a good reputation with their Zelda fans. I highly doubt we will be seeing “Zelda Sports” or washed down, simple Zelda titles in the future – and what we have seen of Skyward Sword certainly proves this.